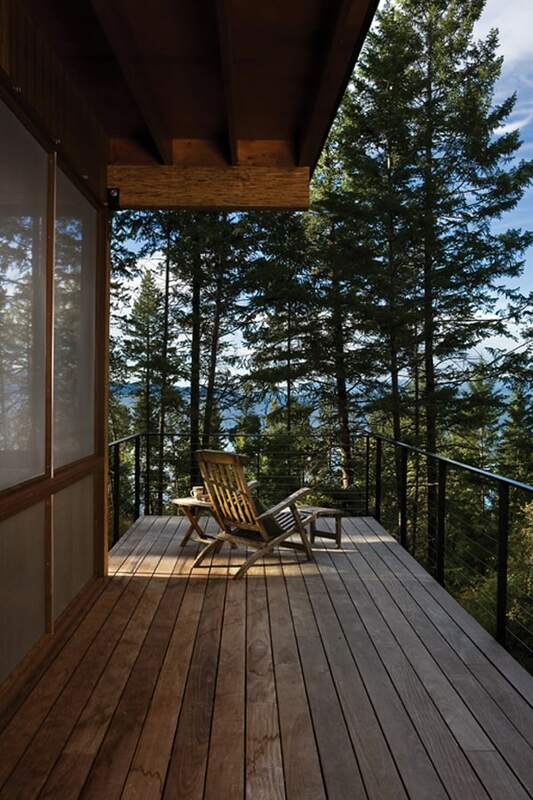 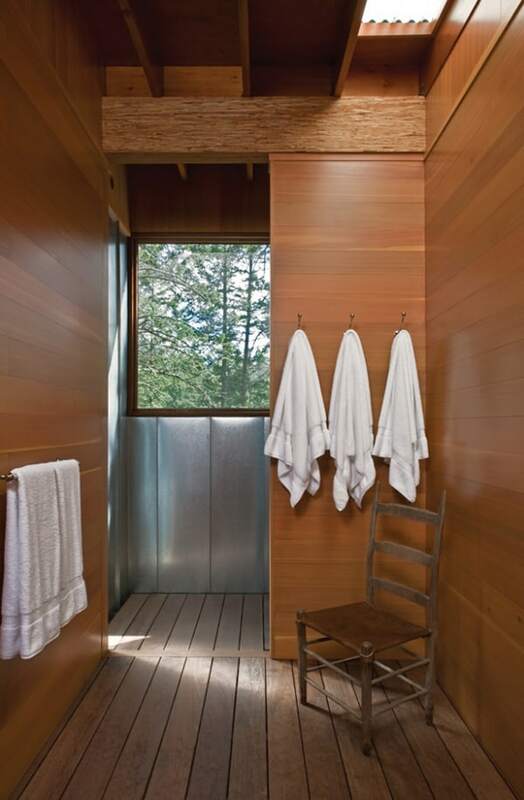 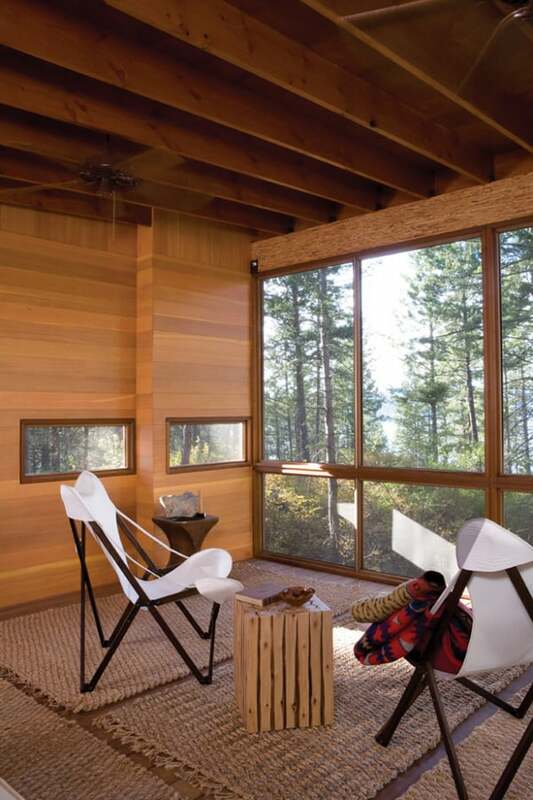 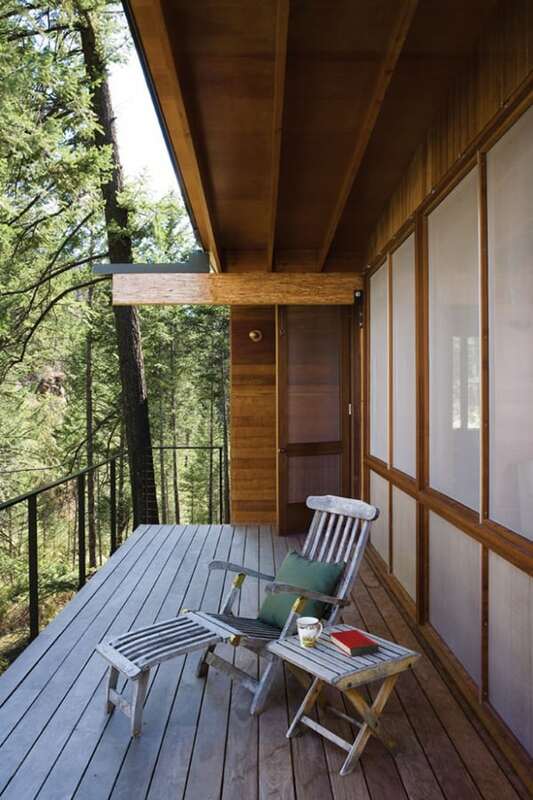 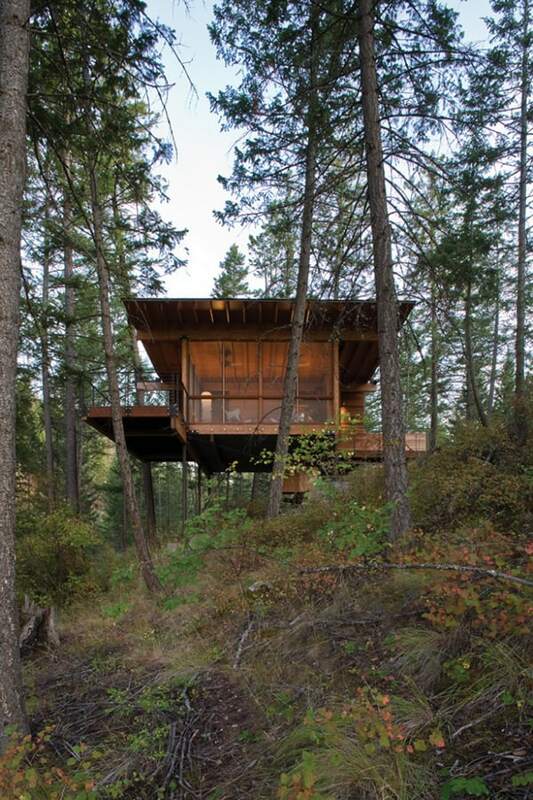 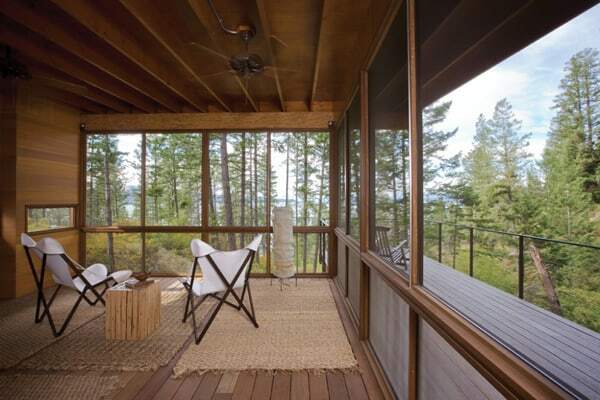 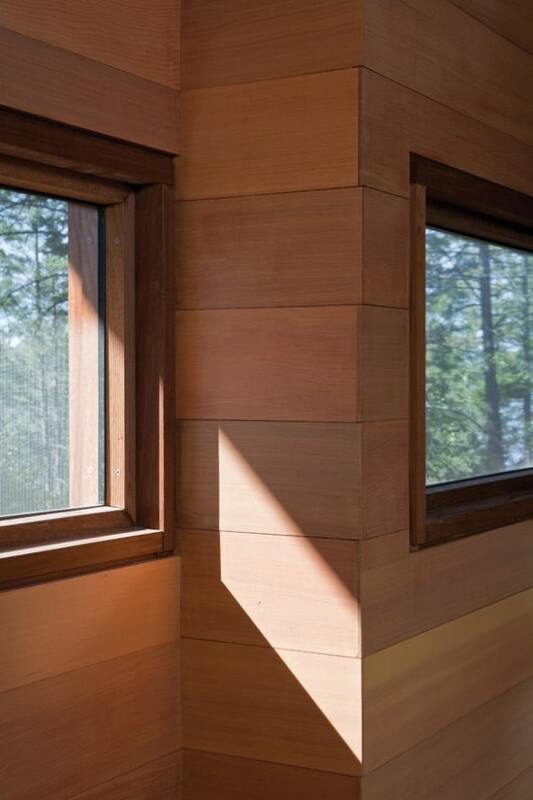 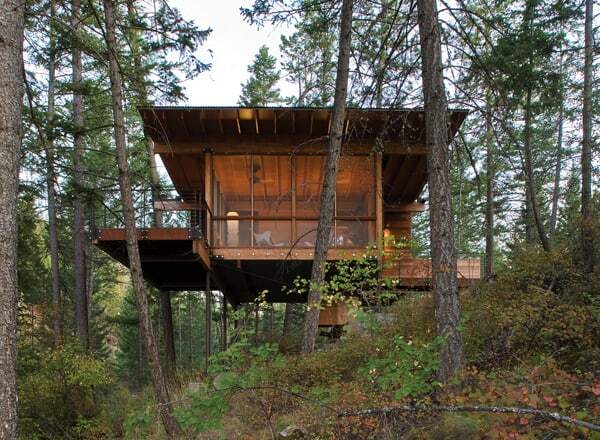 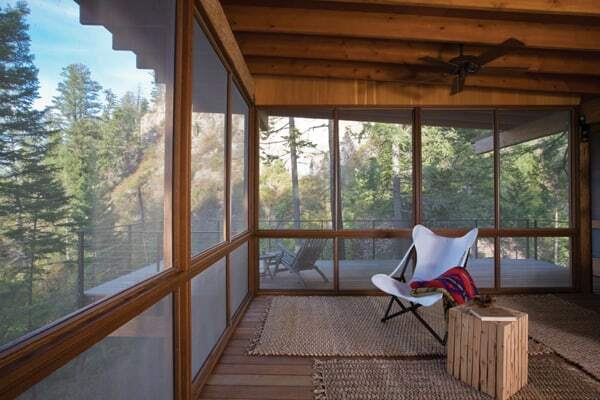 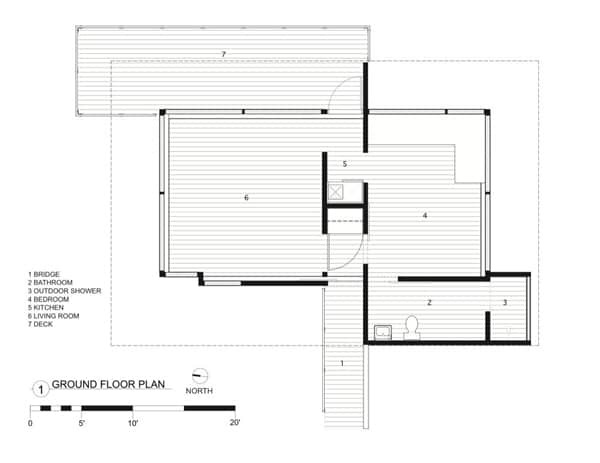 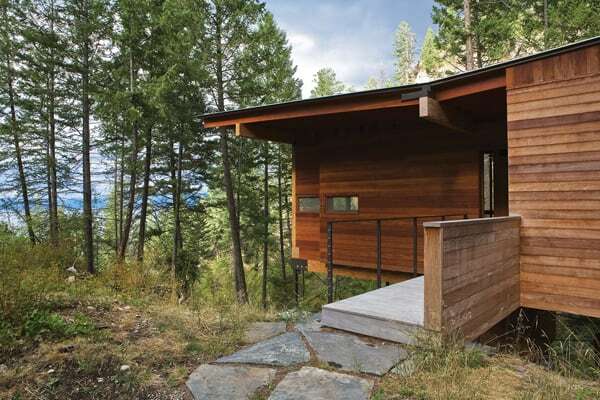 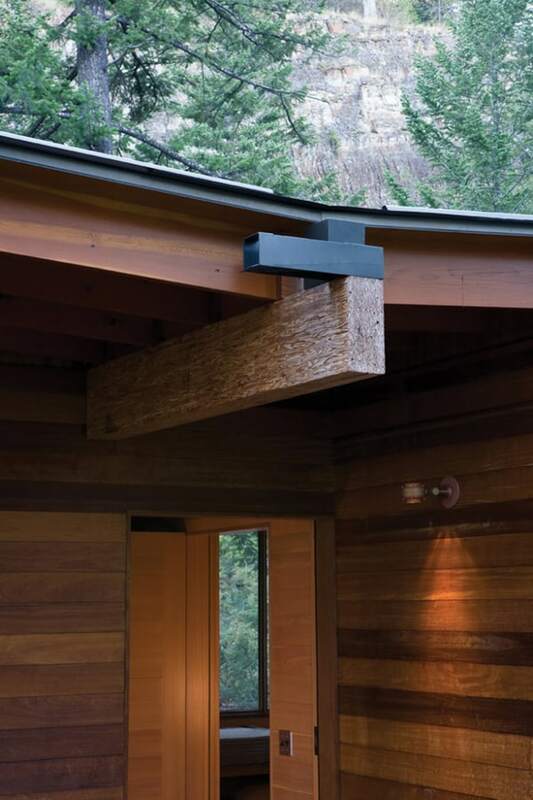 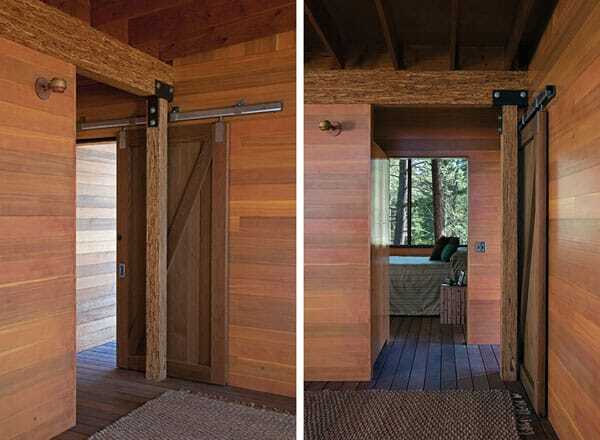 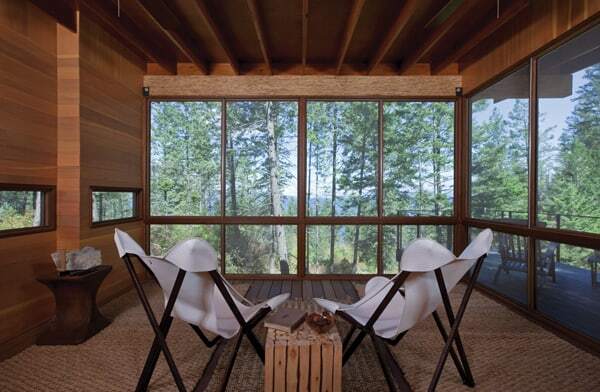 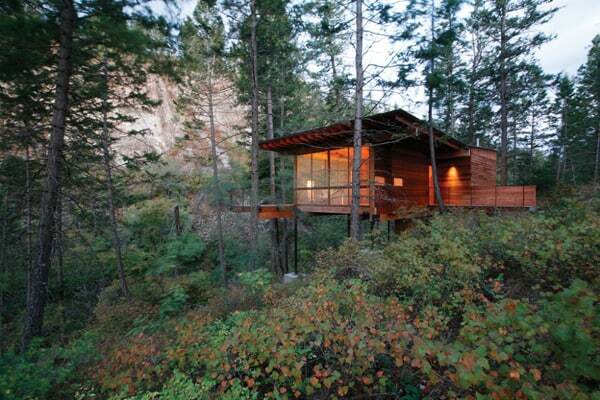 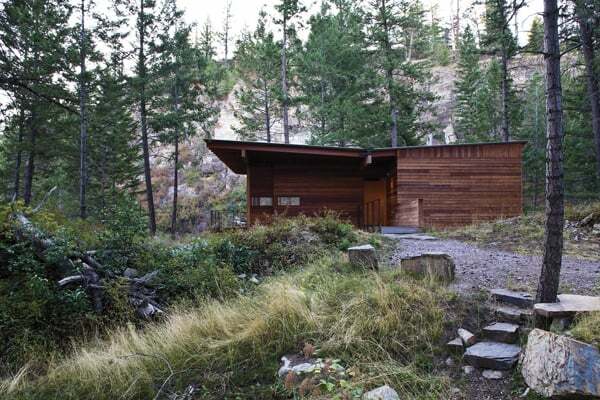 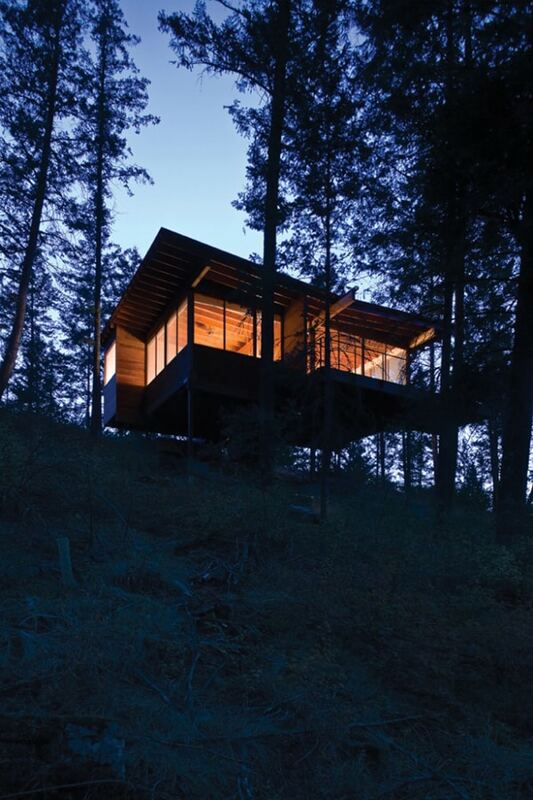 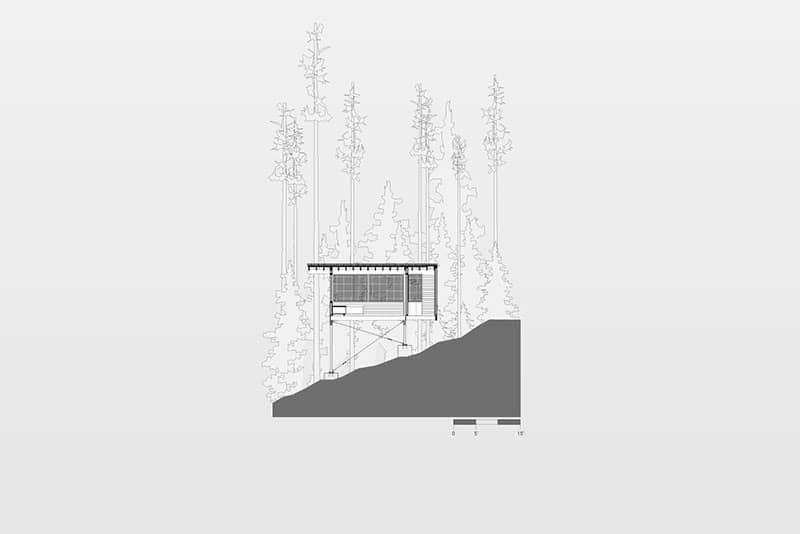 This gorgeous and cozy cabin on Flathead Lake is located in Polson, Montana and designed by Andeon Wise Architects. 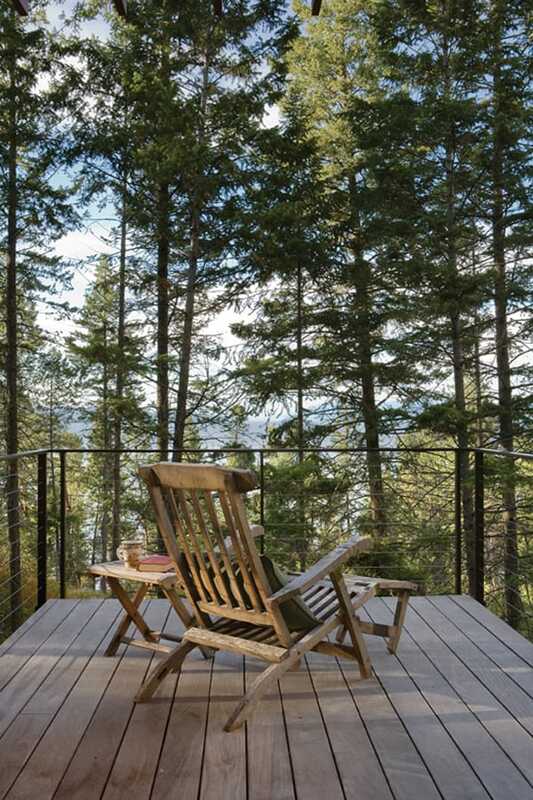 From the architects: “Locals call the granite and shale cliff overlooking Montana’s Flathead Lake “The Matterhorn”. 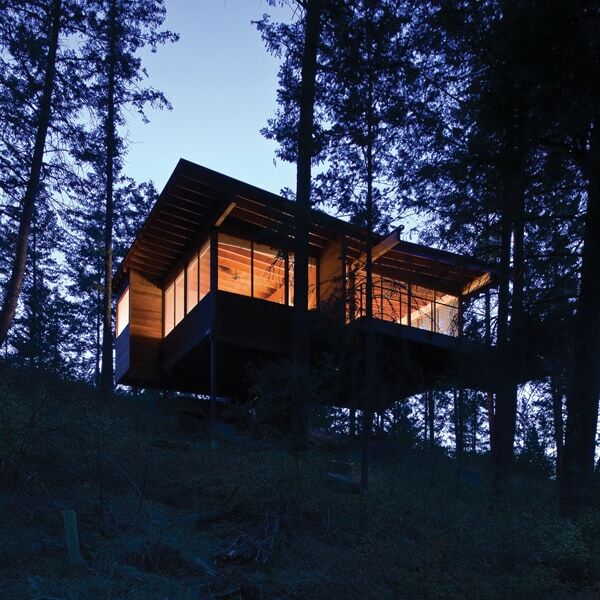 It is a place to observe the natural world: the lake, the surrounding ponderosa pine forest, and especially the eagles and ospreys that nest nearby. 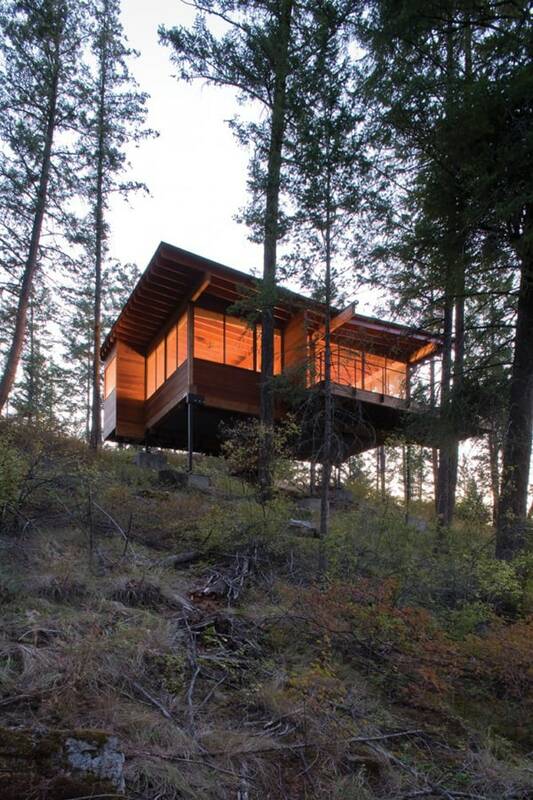 Together, the water, cliff, and trees form a classic picture of the expansive American West, and it is clear why Montana is still known as North America’s great destination. 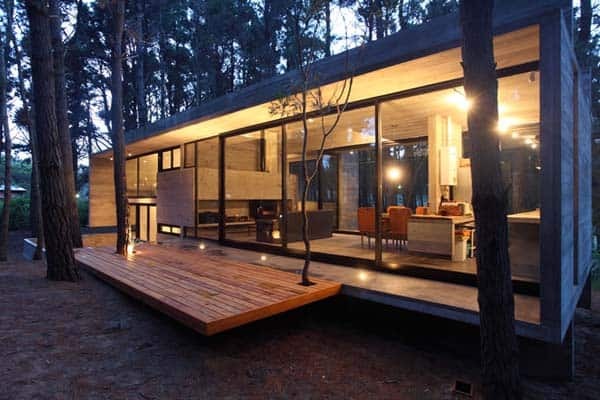 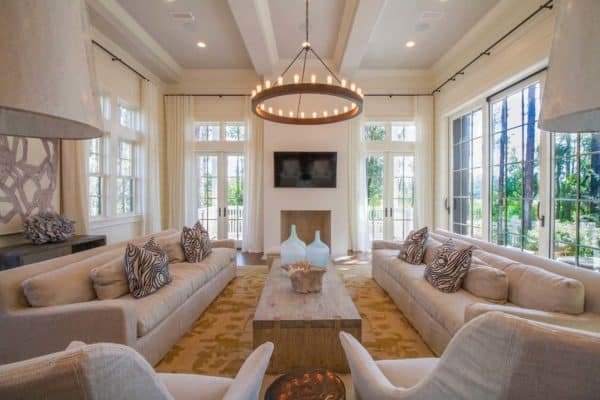 Visit the website of Andeon Wise Architects .